July 8, 2018 – The world is too small? or Is it? 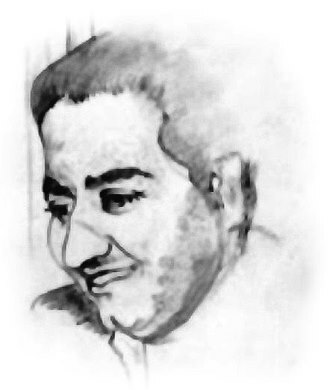 To commemorate Mohammad Rafi’s anniversaries, [Born: 24 December, 1924// Death: 31 July, 1980] we commenced a series of articles on Mohammad Rafi that essentially tried to bring the solo song of Mohammad Rafi from the first film with the music director. Beginning 2016, we have planned to take up one five-year slot every year, in the chronological order, starting from 1944, the year in which Mohammad Rafi sang his maiden solo song in Hindi Films. Till now we have covered the first slot of 1944 – 1948 in Part I and Part II in December, 2016, the second five-year-slot of 1949 – 1953 in our July,2017, 10th December, 2017 and 17th December, 2017 articles. Presently, we will take up the years 1954 and 1955 of the third five-year-slot of 1954-1958. The year 1954 has 44 Hindi solo songs of Mohammad Rafi. There are many repeat-music directors like SN Tripathi, Salil Chaudhary, Naushad, Hansraj Behl, Shanker Jaikishan, Chitragupt, Ghulam Mohammad, Madan Mohan, Nissar Bazmi etc, wo composed music for one or more than one film in the year. The films ranged from successful to obscure films. As a result, with every passing year, we now observe less number of songs that would meet the criteria for our present series, since most of the music directors have had used Mohammad Rafi for a solo song in the years reviewed till now. Year 1954 is to yield 7 music directors who had a maiden solo song composed for Mohammad Rafi. Roshan had made his debut in Hindi Films in 1949 with Neki Aur Badi. His first ever use of Mohammad Rafi, wasa Rafi Asha duet Mohabbat Ke Maaron Ka, in Baware Nain (1950).. Then he has used Rafi in a Rafi- Kishore Kumar-Ram Kamlani triad and a Rafi-Kishore Kumar duet, materialized only in Malkin (1953). The first solo comes up now, in 1954. Since then, Roshan’s association with Mohammad Rafi has gone on to become stronger and richer. This is a background song. The only male solo – Hamein Aye Dil Kahin Le Chal – filmed on the lead male actor has Mukesh for playback. Datta Davjekar has had one solo – Main Teri Tu Mera – with Mohammad Rafi in 1947 for Aap Ki Sewa Mein. Incidentally, Lata Mangeshkar had had her first solo playback song – Paa Lagun Kar Jori Re, Sham Mose Na Khelo Hori Re – too in this film. However, we now have a film in which Datta Dvajekar and Jagganath share the credits as music directors, hence our present song. The film has had three music directors – Datta Davjekar, Jagganath and Kundan Lal – and three lyricists. HFGK records Datta Davjekar’s statement that all songs for the film were in fact composed by him. Hemant Kumar probably brought in Mohammad Rafi for this song because it is was possibly Rafi only who could effortlessly scale vertically up while delivering ‘Uttho Chhalang Mar Ke Aaksh Ko Chhoo Lo’ and then in the very next line ‘Tum Gaad Do Gagan Mein Tiranga Uchaal Ke’ come back to the normal scale. In a very rare Hemant Kumar – Mohammad Rafi combination, Mohammad Rafi does full justice to the confidence invested in him. Shailesh Mukherji, is one of those Bengali music directors who could not comfortably last longer in the Hindi Film world. We have Mohammad Rafi singing a background song in what is now established his signature style. Sudhir Phadke has used Mohammad Rafi very selectively. In fact, he has used Kishore Kumar also very selectively, but for the film under discussion, Pahli Taarikh, he has created one of the most iconic KK song – Khush Hai Jamana Aaj Pahli Taarikh Hai…. This also seems to be a background song. Lachchiram (Tamar), composed music for around 20 films. For most of the Hindi Film fans, the name of this music director would itself, perhaps, be a forgotten name. But his songs – Dhalati Jaaye Raat, Karale Dil Ki Baat (Razia Sultan, 1961), Gori Tere Nain Nainva Kajar Bina Kare, Sab Jawan Sab Haseen Koi Tumsa Nahin, and solo and duet versions of Tu Shokh Kali Main Mast Pawan (all from, Main Suhagan Hun, 1964) – would easily be recognized. Mohammad Rafi exudes nationalistic fervor in every word that he sings in this rally song. Hafiz Khan is credited as the music director who created a qawwali – Aanhein Na Bhari Shiquaw Na Kiye (Zeenat, 1945; Noorjehan, Zohrabai, Kalyani) which has the distinction of being the oldest among all the well-known qawwaalis of Hindi movies. The year 1955 had 76 songs solo songs of Mohammad Rafi, of which we have 2 solo songs each of B S Kalla and N Dutta and one solo of Bipin Babul from one film each from their respective maiden association with Mohamamd Rafi. B(alkrishna) S Kalla is quite an unknown name. From various records, we observe that prior to 1955, he has also jointly composed for films like Mangala (1950), Mr. Sampat (1952), Bahut Din Huye (1954), which were all produced by the then known Tamil banners. Do Dulhe is his solo music direction film. The present song is a very good comedy genre song. The song is filmed on mentally challenged persons, and had parodied a couple of known songs. Mohammad Rafi has another solo song – Hal Na Kar Paaye Jise Tu Kaun Si Mushkil Hai Wo – which appears to be background song, one duet with Geeta Dutt and a triad with Geeta Dutt and Sarla Devi. N Datta (a.k.a. Dattaram Baburao Naik) commenced his career as an assistant to S D Burman in films like Bahar, Sazaa and Ek Nazar (1951), Jaal (1952), Jeevan Jyoti (1953) and Angarey (1954), before his got his maiden assignment in Milaap (1954), which was also maiden directorial venture of Raj Khosla. His early association with Sahir when N Datta was an assistant to S D Burman seems to be continuing and continuing well. In the present song N Dutta comes out in the true elements of his abilities – very soft orchestration, a smooth composition which has some typical twists. The film had two Mohammad Rafi – Asha Bhosle duet songs, one of which is what is known as Beggar Song genre song in Hindi films – Bata Ae Aasmanwale Tere Bande Kidhar Jaye and another one is a romantic duet – Muhabbat Yun Bhi Hoti Hai. Bipin (Dutt) and Babul Started their career as assistants to Madan Mohan, Thiers is one more case of a capable music director who did not ring success to the cash box. They have composed two highly respected Rafi songs – Tum Poochhate Ho Ishq Bhala Hai Ke Nahin Hai and Chheda Jo Dil Ka Fasana Hansa Zor Se Kyon Zamana in Naqli Nawab, 1962. The composition of the song is more on the Sufi style. While ending the present episode, I am not able to resist the temptation of presenting one of my most favorite Mohammad Rafi songs (for 1954), even at the cost of repeating a music director.